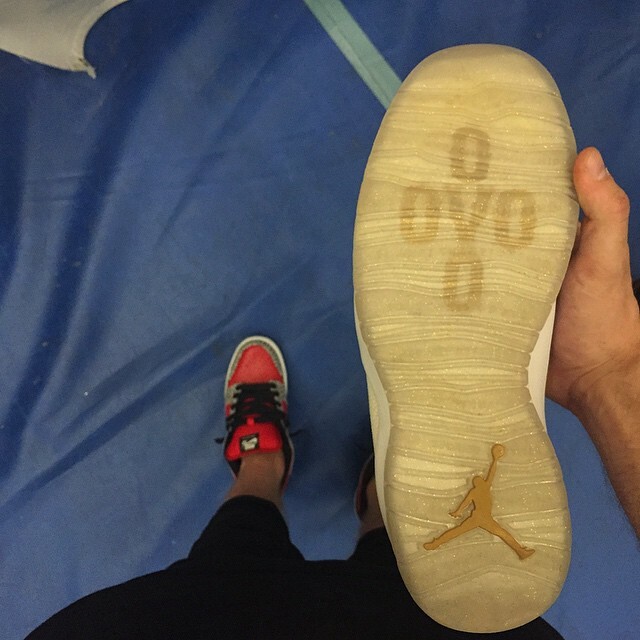 It seems like I’m recapping a Toronto sneaker event on a bi-weekly basis – but here we are. 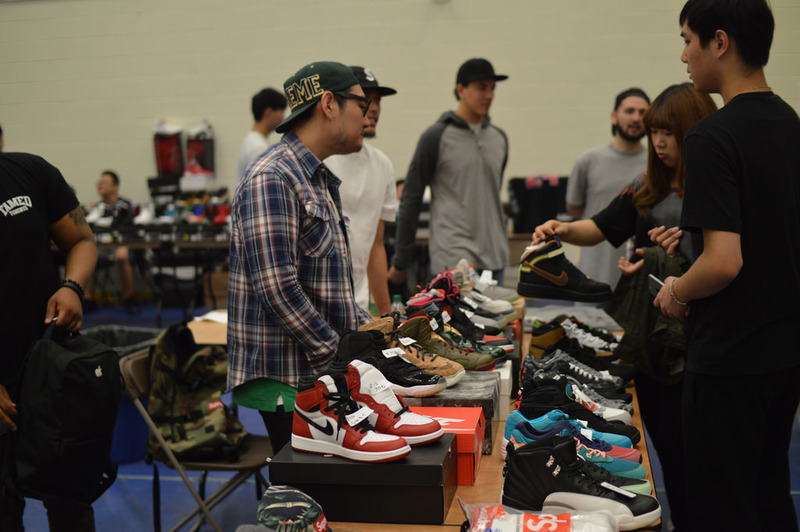 Last weekend, Canada Got Sole had the privilege of receiving a handful of media passes to take-in the the festivities at Doper Heart’s annual Toronto Sneaker Convention. So of course the squad packed ourselves up and made our way down to Ryerson University’s Kerr Hall (the gym), to see what was poppin’. It’s always nice having events in the heart of the city. Although its about a 30 minute commute to get into the core, the accessibility is great and once you leave the event you’ve got a day to enjoy the city. For those not familiar with Toronto .. TDot .. The Six, Ryerson is just steps away from the hub of the city, the Toronto Eaton Center. This is a positive because many people are able to attend, and foot traffic tends to be higher. People can literally add the event into their itinerary in between shopping along Queen Street and grabbing some Uncle Tetsu Japanese cheesecake (if you know, you know). The space itself was relatively small, it was located in a gymnasium and was no larger than a half-sized basketball court. The lack of ventilation had positives and negatives. Negative in the sense that everyone was sweating like a whore in church. Positive for the clothing vendors, though, because everyone needed new shirts once theirs was drenched with perspiration. The smaller size of the venue meant that there was no empty vendor slots, and shoes lined the perimeter and the interior of the space. 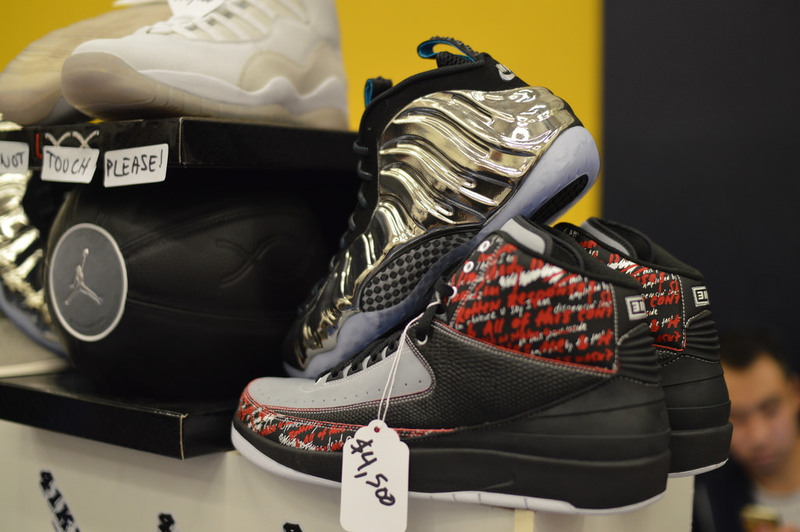 It seemed as though all of the heavy-hitters were having a “I got more heat than you” contest, because I don’t think I saw a single GR the entire time I was there. 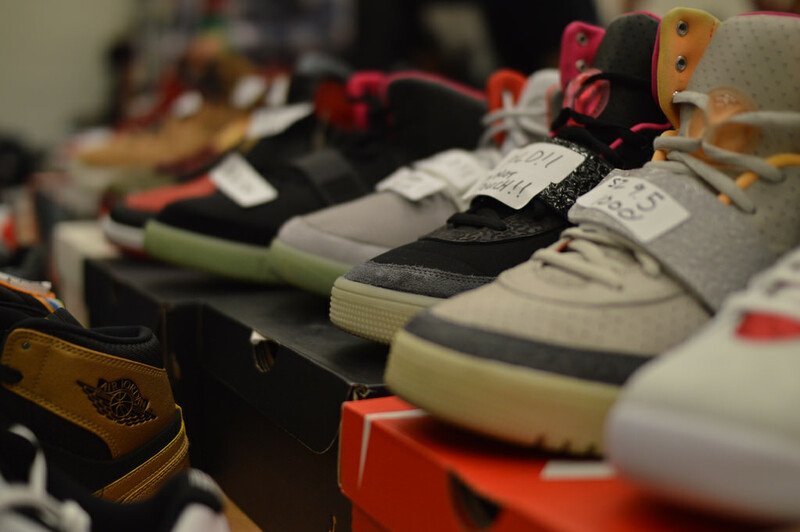 Seemingly every table either had PE’s, Supreme somethings, Yeezy(i)’s or Samples. 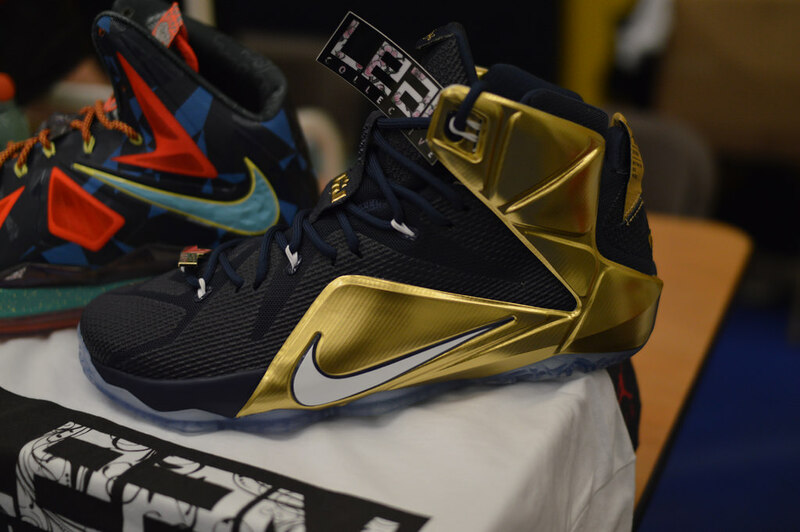 Although it was awesome to see so many expensive shoes all in one place, it also meant that there was a lack of variety in the tables. 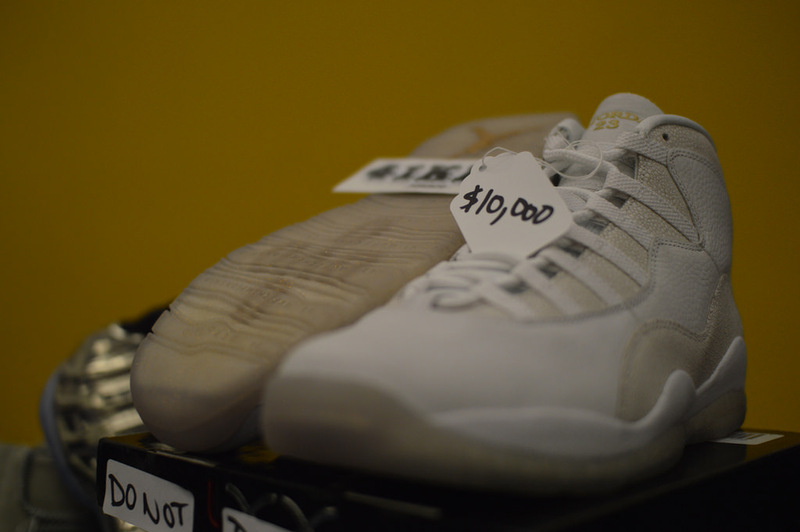 A special shout-out to the 41Kix table though; it was not my first time holding a pair of OvO 10’s – I’ve stunted on the gram with the black pair– but having the white pair in-hand (I am above “Do Not Touch” signs) had me feeling some type of way. 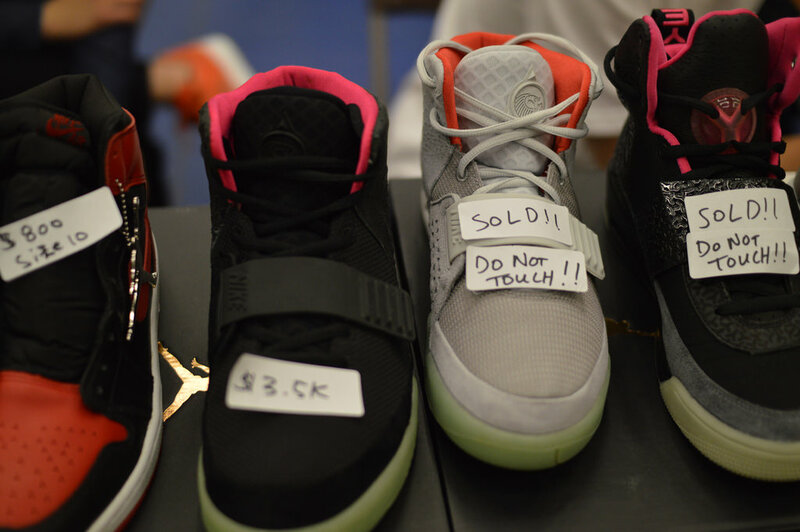 But even with 20 pairs of Solar Red Yeezys scattered throughout the room, it seemed like the vendors were still having luck selling kicks and making bands. 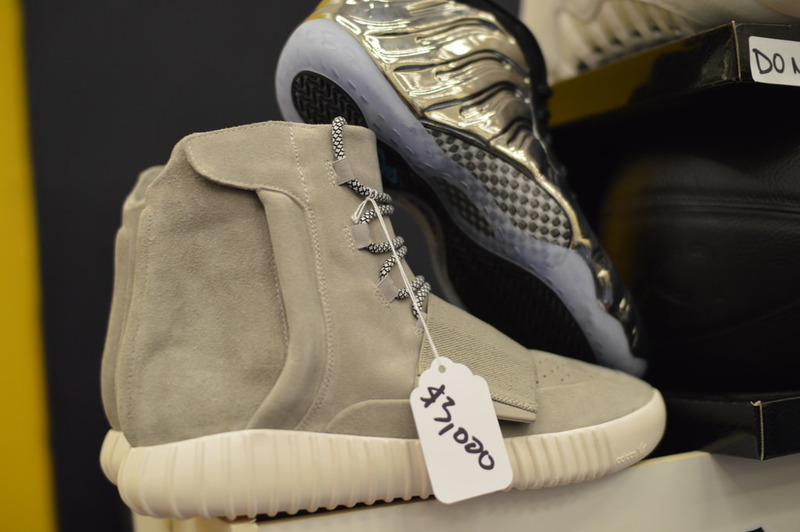 Watching young kids drop 3k for a pair of Yeezys will still always amaze me; and I probably witnessed it first hand three or four times. So with the heavy-hitting vendors it would appear the heavy-hitting buyers also came out to play. All in all it was a nice little event. It was not a massive, extravagant exposition like others I’ve been to, but it got the job done. All event goers were treated to a free gift, a little metal pin with Doper Heart’s logo on it, which was greatly appreciated and I love the idea of treating your patrons to a little something something. After speaking with vendors and organizers I learned that this event had more vendors and more attendees than last year’s two-day expo; you can never knock progress. Congrats to the guys over at Doper Heart for putting on a solid show, and we’ll see what you come up with for next year. As for the Canada Got Sole team, it looks like we’ve got a little break with the next event not coming until August 22nd. However, its a big one. 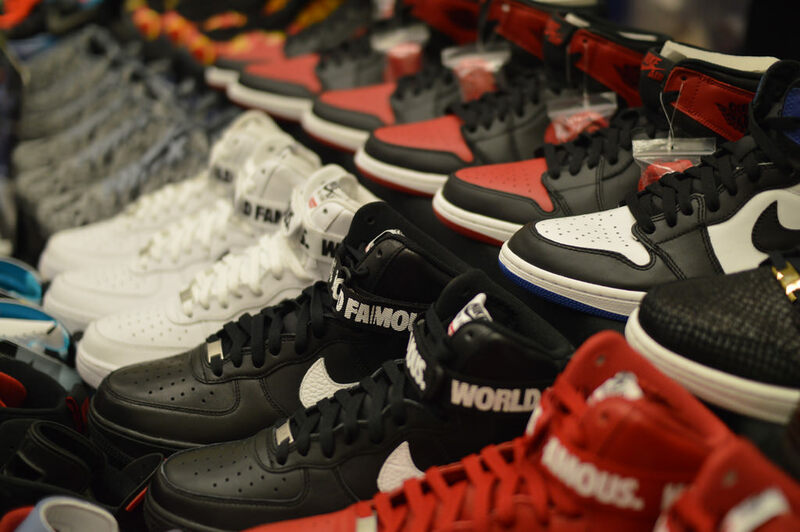 Our next event, hosted by Sole Exchange Canada, will be held at the MASSIVE Metro Toronto Convention Center (where they hold the auto show, Comic-Con, and other huge to-do’s), and we’ve arranged to set up a two table display – so don’t miss this one, bruv.